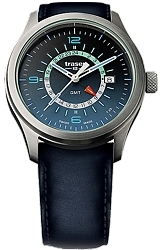 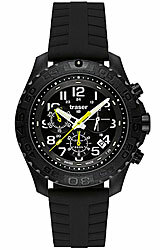 Utilizing Traser's new Trigalight-HairLight technology, this chronograph is fully illuminated, even the chronograph subdials. 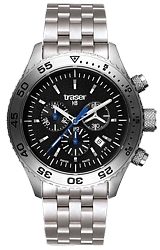 The watch has a surgical grade stainless steel case, an anti-reflective coated sapphire crystal and is water resistant to 100 meters or 330 feet below sea level Included are a date function and an elapse time bezel. 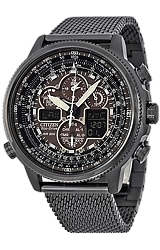 Model 106833 has a Stainless Steel Bracelet.